← Monday: Working for the Weekend. I have such a soft spot for comedians, especially one Mr. Jim Gaffigan. There is no standup special I love more than Gaffigan’s Beyond the Pale. In university I’d put Beyond the Pale on whenever I needed to unwind, wanted to laugh, or sometimes even as background noise for naps. 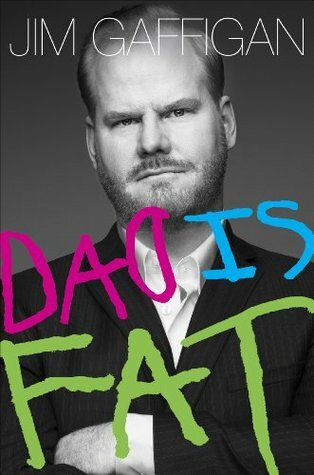 Gaffigan’s take on food, religion, and family is always enjoyable. So I am pleased to say that Gaffigan’s book does not disappoint. It mainly focuses on his children and family life, but it makes for one hell of a good read. He brings out his famous wit and humor, while also showing a whole lot of heart. My one complaint is that he recycled a ton of the jokes found in all three of his specials. I wouldn’t mind if it only happened a couple times, but it was quite noticeable throughout the whole book. But besides that, a seriously good read. Right up there with Bossypants and Is Everyone Hanging Out Without Me? If you’re looking for a book that’ll make you laugh out loud, this is the one. So I read The Fault in Our Stars over the course of eight hours back in April of 2012. Upon my decision to reread this book while in New Zealand, I gave myself a pep talk. “This time you wont cry. No way. You already know what happens. No need to cry. Man up.” Then I made the horrible mistake of reading the last third of this book on an InterCity bus ride. Needless to say, I ended up with my hands cupped around my face, trying to hide the fact that I was openly sobbing in public and avoiding eye contact with Kathleen at all costs. This book is, without a doubt, one of my favorites of all times. Green seamlessly captures the vernacular and attitudes of teenagers, while also pinning down the heartbreak and reality that is cancer. Not only that, he crafts a love story that outshines the hundreds we see in books, TV, and film nowadays. The reread was definitely worth it, and if you haven’t read this bad boy yet, do it. Just make sure to not read it in public. Probably best to just shut yourself up in your bedroom; that way no one can hear you cry as you chuck the book across the room, then crawl back to it for more. I first watched Howl’s Moving Castle on a sick day back in high school and I instantly fell in love. I mean, I was totally expecting to. I’ve been a Miyazaki fan since I was a kid and saw Totoro. 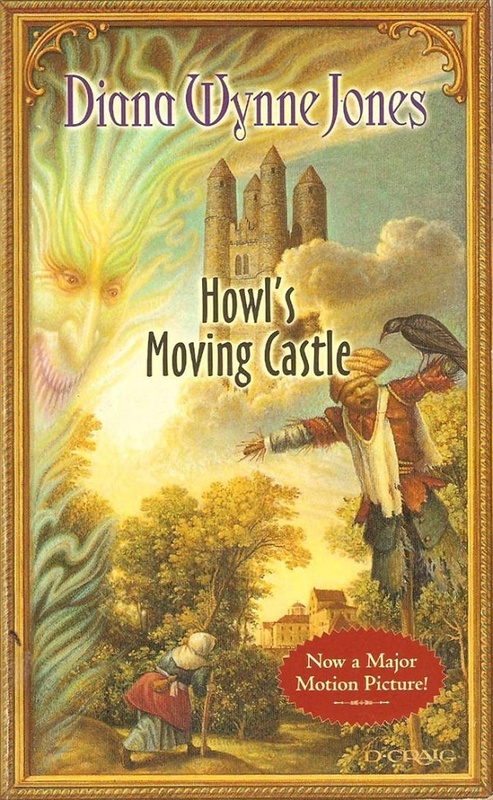 When I found out Howl’s Moving Castle was a book though, I instantly snatched myself a copy, eager to read. However, this ended up being one of those books I’d start reading once a year, but somehow always fell off the bandwagon. It wasn’t that the book was bad or boring, things always just came up. Other books I wanted to read more, loads of school work, relationships and boys, you know the drill. Anyway, I’m thrilled to say I finally made it through this entire book, and it is just as enjoyable as the film. Of course, since I saw the film first there are certain things about the adaption I found I prefer. For example, I adore Calcifer in the film and didn’t care much for him in the book. Plus I love the movie’s whole take on Sophie turning back into her self the more confident she becomes and self worth she finds. But anyway, that aside, the book was fabulous. Jones did a wonderful job crafting this world that feels almost real, and creating imaginative, fun characters. I don’t know if I’ll ever get around to the sequel(s?) to this one, but I can tell you that the first is a great book to read. Earlier this year I listened to Farewell to Arms on audio during my morning runs, which convinced me that I adored Hemingway. 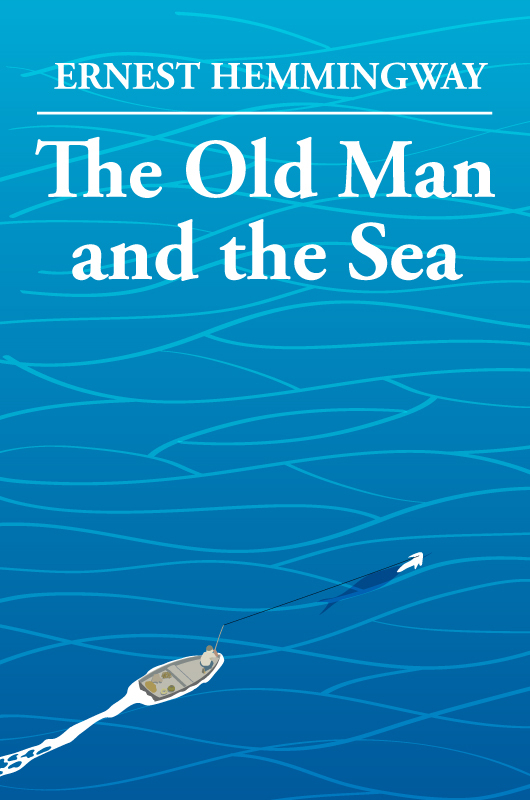 So, naturally, I thought The Old Man and the Sea was logically the next book to pick up. It’s on a bunch of “must read” lists, right? Must be good. I once saw an interview where Daniel Radcliffe said if he was stuck on a desert island and could only bring one book with him, it’d have to be The Old Man and the Sea. I’d very much like to ask him why he’d want to bring the most boring book in the world with him. Because, holy hell, this book. I’m sure a lot of people could argue in defense of the commentary of the plight of the common man, but when it came down to it I just could not care less about anything going on in this book. Man gets in boat > man catches fish > fish drags man out to sea > fish dies > man goes back to land > sharks eat fish > man goes to sleep. There. I just saved you two hours of your life instead of reading this (thankfully short) book. Now go find something more productive to do with your life. Like watching grass grow. Christ. Now this book was a lovely surprise. I saw the film a long while back and wasn’t exactly impressed with it. 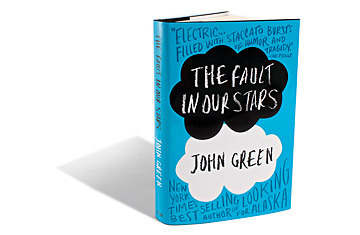 I had been told the book was better than the movie (but when is that ever not true? ), so I figured it’d be worth a read. I was a little put off at first because, damn, this is one long book. But let me tell you, Niffenegger knows how to draw you in. I flew through this book in three days, and am not ashamed to admit I cried throughout the last thirty or so pages. It’s a beautiful love story, complete with intelligent, fun writing and wonderful characters. Fun fact: I actually cast the characters in my mind as I read (but not with the stupid movie’s cast). I saw Superman‘s Henry Cavill as the male lead, with Doctor Who‘s Karen Gilligan as the female lead. Other famous faces were in there as well (Michael Mando, Stanley Tucci, Wayne Brady, Alison Pill, Danai Gurira, Bob Odenkirk, etc. etc.). It made the read a whole lot more fun. Revisiting the magical world that is Hogwarts and reuniting with the golden trio has been an amazing experience. 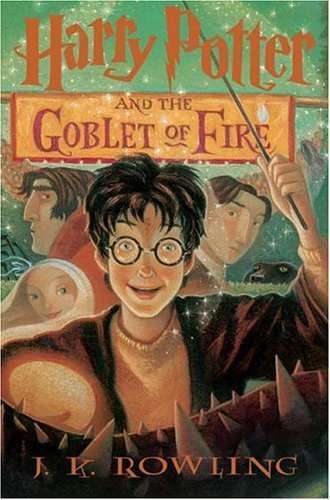 I haven’t read the Harry Potter series since I was in high school, so the fact that I’m getting to live it all again is just such a trip. If there’s one thing in this world I know, it’s that JK Rowling is a damn fine storyteller. That woman knows how to spin a tale. I’ve never really bought that old adage of “don’t judge a book by its cover” when it comes to literal books. Buying books based on cool covers has lead me to some excellent reads. Shiver. Jesus Land. Extremely Loud & Incredibly Close. Water for Elephants. Breathe. The list goes on. However, this was one of those cases where I wish a cover hadn’t enticed me so much. 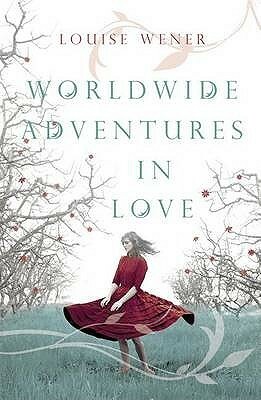 By the time I realized that I had no interest in what happened to any/all of the characters in Worldwide Adventures in Love, I was over halfway through the book and saw it as my duty to finish it. As I told Cheryl once it was over, it read like a story someone would’ve shared in my Fiction Writing classes in college; holding so much potential, but inevitably falling flat on its face. Cheryl and I made a friend up on the fifteenth floor of our apartment, Rachel, and she was generous enough to lend me a ton of her comic books. This is so far the only one I’ve finished, and it was such a fun read. Harley Quinn has always been my favorite Batman villain, and her friendship with Poison Ivy is one I will never tire of exploring. There were multiple stories in this graphic novel, all of which made for great reads. I’m reading a million books right now, but this is currently the one that’s holding my attention the most, for pretty obvious reasons. And know this: I don’t trust people my age who don’t like Harry Potter. 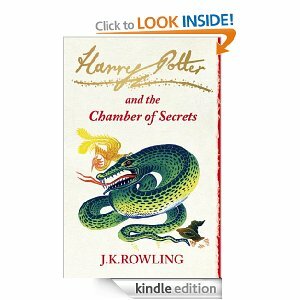 I think it says so much about a person if they can’t own up to the fact that HP pretty much shaped all of our childhoods. Just grow a pair and admit that you know what Hogwarts house you’re in, would ya? War has been one of my least favorite subjects to read about ever since The Red Badge of Courage. I always saw it as a non-interesting subject, at least reading-wise (actually, come to think of it, most war movies do absolutely nothing for me as well). I now know it had more to do with the fact that no teacher should ever force her eighth grade students to read Red Badge of Courage because, hah, it’s gonna bore them senseless. 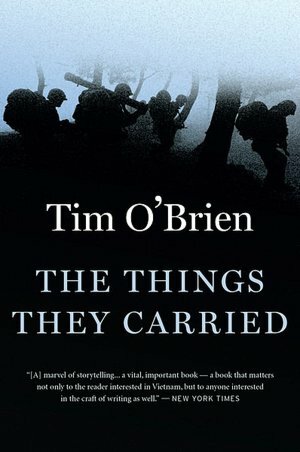 The Things They Carried is, without a doubt, the best book I was ever assigned to read for a college class. I devoured it in two days; mouth ajar and wide eyed. It’s the reason Saving Private Ryan became my most watched movie sophomore year of college as well. The book is so beautifully worded and each story will either make you laugh or cry. You feel like you’ve fought alongside each and every one of the soldiers by the time the book is over, and when one of them dies in battle it’s as if you’ve lost a brother. 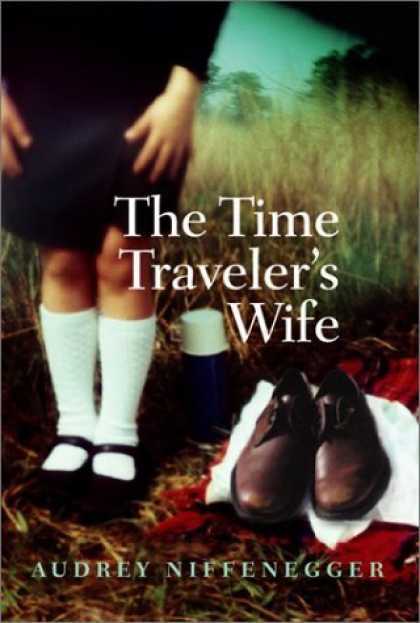 I should state that by “currently reading” I actually mean “read the first ten pages a week ago and now don’t remember anything that’s happening in the story.” I really need to get back on reading this one. Another reread, and a classic one at that. 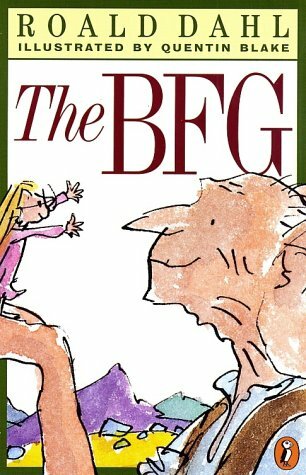 I remember being read The BFG in the third grade by Ms. Timm and loving every minute of it. Just like my Matilda reread last summer, The BFG does no disappoint. It’s still as whimsical and magical as I remember it. Such a lovely story; one that only Roald Dahl could create. 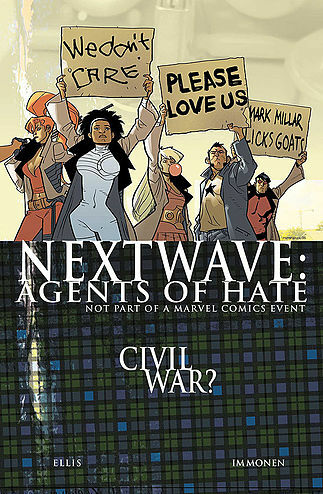 Like Nextwave, this is one I started reading last week and have not touched since. 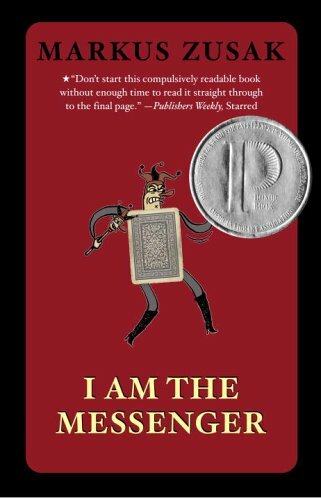 However, seeing as it’s by Markus Zusak (ie. the author of the amazing, brilliant, ‘oh-my-god-why-have-you-not-read-it-yet’ book The Book Thief), it’s gonna be a fine read. I just know it. I didn’t foresee a lot about my New Zealand trip. I didn’t expect getting a job in sales, or moving in with a girl I met in Queenstown, and I certainly didn’t expect manga being reintroduced back into my life. Manga was kind of all I read during my freshman and sophomore years of high school, and even though it lessened I still read a ton of it up until I started college. I wasn’t sure if any series would ever reenter my life, but after talking with a co-worker who’s a massive anime/manga fan, I realized I was ready to let it back in. Bleach was one of my favorite series when younger, and I’m pleased to say it holds up over time. 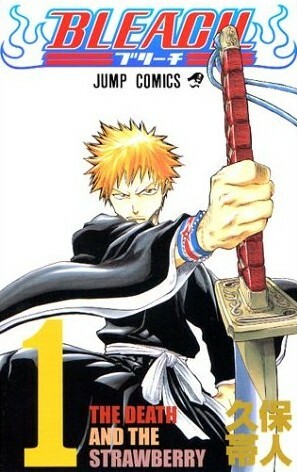 I’ve only made it through the first two volumes, and I’m so eager to continue on this journey with Ichigo and Rukia once more. I think it might surprise people that I have not, as of yet, touched this book. 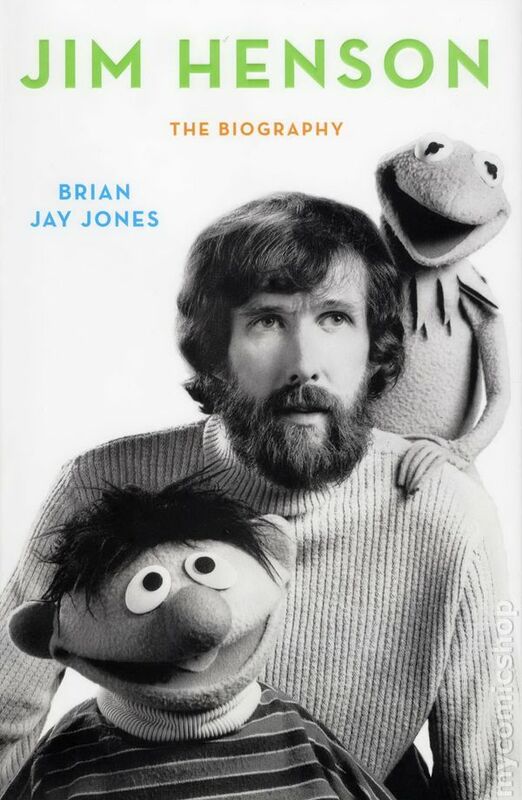 It’s no surprise that I’m a huge Jim Henson fanatic, what with the Muppet articles I’ve written for Tough Pigs, the tattoo on my back, and the Henson podcast Lara and I intend on starting up sometime in the super near future. Despite all of that, this book has sat, unopened, on my coffee table since I brought it home from the library. My excuse is that I’m waiting. I want to finish up all the other library books I’ve got out, so that I have no other books distracting me. I also want to wait for a Sunday where I’ve got nothing going on, so I can just stay in bed and read all day. I honestly can’t think of a better way to spend my day. But I’m still angry with John Green for how he decided to go with Looking For Alaska. 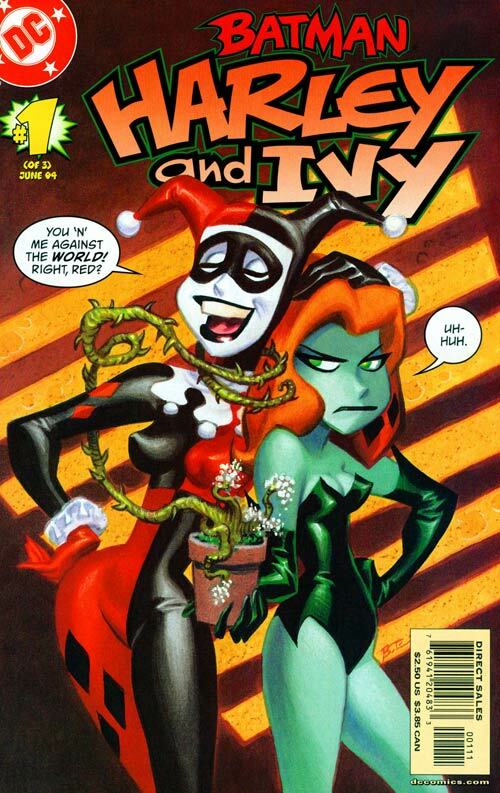 Harley And Ivy is pretty much brilliant simply because Paul Dini, the creator of Harley Quinn, wrote it. Also, why is it everyone loves The Book Thief? I just finished reading it and I wasn’t that impressed. It was pretty good but everyone’s opinion of it is akin to yours. 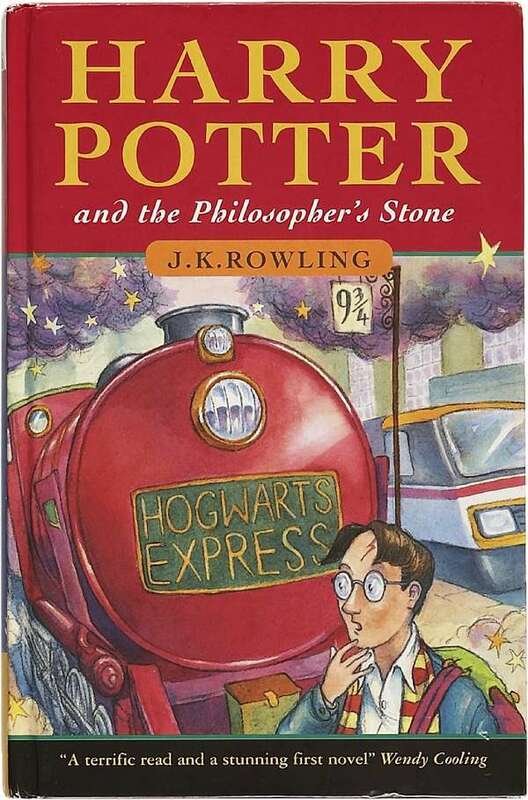 PS: Harry Potter did not shape my childhood.